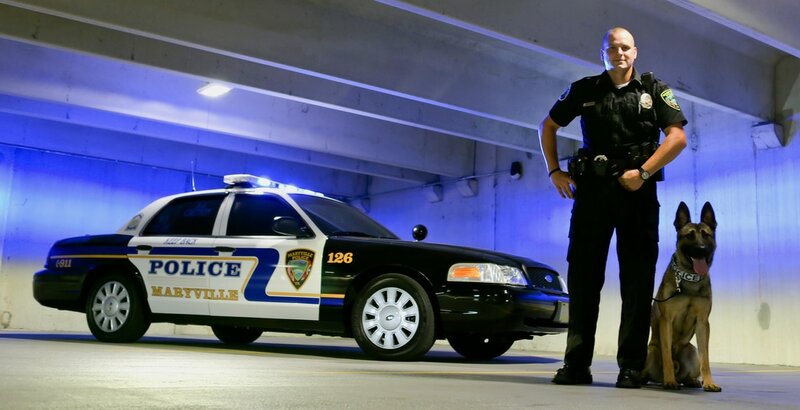 The Maryville Police Department will protect, preserve, and defend the lives, property and rights of all people, while serving with honesty, integrity and sound judgement. The Maryville Police Department is accredited by the Commission on Accreditation for Law Enforcement Agencies, Inc. (CALEA). and the Tennessee Association of Chiefs of Police sanctioned Tennessee Law Enforcement Accreditation Program (TLEA). The Maryville Patrol Unit is the largest and most visible unit within the police department. These officers are typically the first contact citizens and visitors have with the city of Maryville and are responsible to solve problems and maintain harmony in our community. The patrol unit strives to make a positive impression and deliver the highest quality of law enforcement services available. Specialized units within the patrol division are composed of highly trained individuals proficient at a variety of tasks designed to meet the needs of the community. These include traffic, SWAT, honor guard, K9, and bike patrol. The police department has designated four zones to allow for a quick and professional response to community needs, proactive policing, and a visible presence of officers in both residential areas and business districts. Four units within the patrol division operate in staggered shifts (day, evening, night, and traffic). Established September 2003 at the direction of Chief Crisp, the unit is staffed by a supervising lieutenant, a sergeant, and five patrol officers. Training for each member includes crash investigation, field sobriety/DUI, radar/speed estimation, child restraint installation, and police motorcycle operation. In addition to traffic violations and crash investigations, the role of the unit has grown to include a partnership with the Governor's Highway Safety Office to help reduce the number of crashes in the City - particularly crashes involving personal injury. 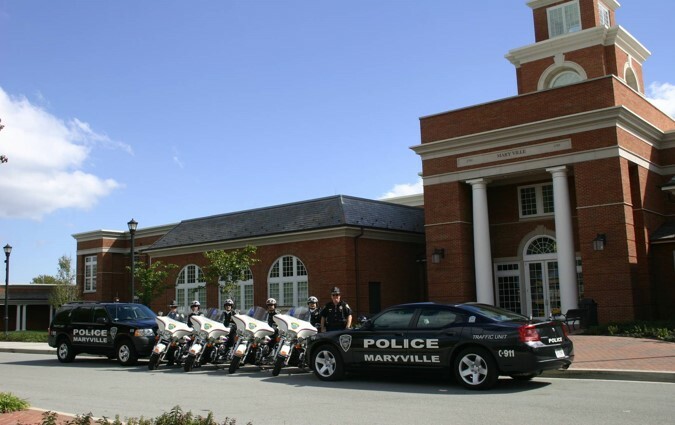 The Maryville Police Department Honor Guard was established in 1993 to represent the Maryville Police Department, its officers and families at police funerals, parades or other ceremonial occasions. The honor guard participates annually with other local law enforcement agencies at memorial services honoring fallen officers in Blount County. Honor guards carry out the duties of a police funeral including casket guard, firing detail/ 21 gun salute, flag folding, presentation of colors, taps, and pallbearer if needed. The Honor Guard performs under approval from the Chief of Police.